About 16,000 people attended the events in central Kyiv, according to police. No serious violations of law took place on 27-28 July as Kyiv hosted massive religious events, National Police said on 28 July. More than 4,000 law-enforcement officers and National Guard troops protected law and order on Kyiv streets, according to the metropolitan police website. 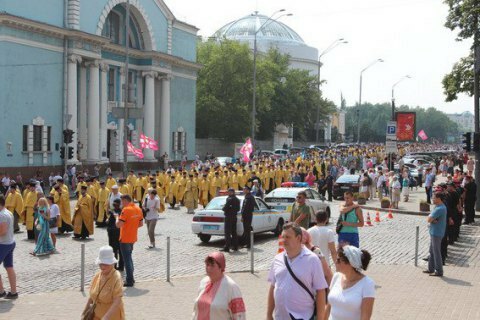 The religious events on the occasion of the Day of Baptism of Kyivan Rus were accompanied by strict security measures in view of feared provocations.